Northern Uganda: Child Night Commuters. 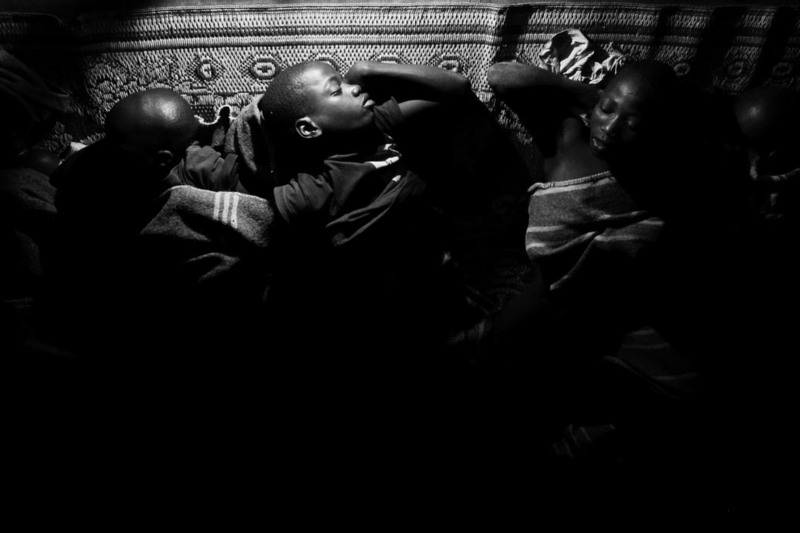 Child night commuters rest in the "safety" of one of the many sleeping centres in Gulu. By late afternoon, thousands of children would leave school to walk extreme distances to the "safety" of the charity run sleeping centres in Gulu town. Abduction at night by the LRA rebels was rife.